I've had the Fit Meter for a few days now, and I wanted to share my impressions. What follows is in no particular order, so bear with me. My Fit Meter is black and silver. Understated for me, which I like, but I really want to get a brighter coloured one for my daughter, probably the white and red/pink one. I don't know when those will become available, but I'm hoping it's before Christmas! I've worn it religiously every day, and I hardly notice it, it's not uncomfortable, even though at first glance it seems big. It's not. Maybe it's the rounded corners, or the fact that it's round, but for whatever reason it sits nicely on my belt at my hip, and I just forget it's there. Syncing the Fit Meter is very simple, you simply hold the meter to face the IR port on the Gamepad, and hold down the centre button. A few seconds later you're all synced. There's a nice little touch when you sync the Fit Meter for the first time; when it's done syncing it plays a continuation of the music phrase that's playing on the Gamepad. It also displays a LCD screen representation of your Mii, personalizing your Fit Meter with your face. The display on the Fit Meter is simple, with left and right arrows scrolling through various pages on the LCD screen. It displays how many steps you've taken, how many calories you've burned, the temperature, and the altitude. Pressing the centre button changes the display to show a MET's graph and altitude graph, as well as screen and sound settings. The display goes to sleep after a minute or so to save battery, but the Fit Meter is still working even when the screen is blank. 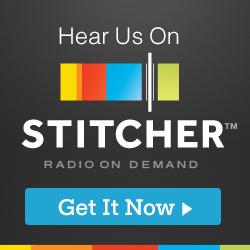 You can also adjust the volume of the sounds the Fit Meter makes, or turn them off completely. The Fit Meter also tracks altitude changes, which is nice when you're going up those stairs, or running up hills, or whatever. 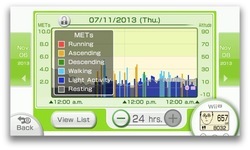 When the Fit Meter is synced, altitude and distance information can be viewed the data panel in graph form in the Wii Fit U game (app? program? ), showing varying periods of time and level of activity during different parts of the day. There is also a challenge panel, where you can apply your didstance and altitutde towards various walking and climbing courses. Currently I'm 14km into a 42km walking course in Tokyo, Japan, and 80m up the Eiffel Tower. Kind of fun, and it gives you a goal to work towards. It's this gamification part of the Fit Meter that has me motivated to walk more, as silly as it seems. Just like the 3DS Play Coins, offering me some measureable progress in exchange for a few more steps is enough to keep me going. Ultimately, the decision to wear a fitness meter of this kind indicates some desire to improve your fitness, and giving me incentive to do more is a very good thing. The Fit Meter is $20, and syncing it with the downloaded time limited trial version of Wii Fit U lets you keep the game permanently. If you already have a Balance Board from the Wii, it's definitely worth getting if you're even the tiniest bit interested in Wii Fit U. 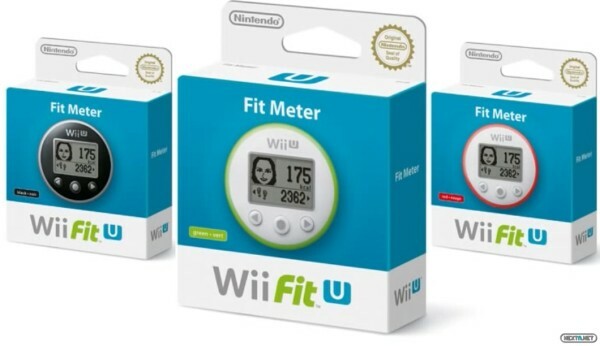 Posted on November 8, 2013 by Eugene Huo and filed under Reviews and tagged fit meter nintendo wii fit U.